Samui — W Retreat Koh Samui recently relaunched its iconic WOOBA® by hosting an exclusive evening like no other ever seen on Koh Samui. Recent initiatives to inject W Hotels’ signature New York energy into Samui covered everything from a stunning new “floating” DJ booth to graffiti walls by international street artist, Alec Monopoly, and custom-made lighting and furniture coordinated by Thailand design company P49 Deesign. “We wanted to bring a distinct energy to the WOOBA® that capitalizes on its unique setting and views of the sea, ” said Carl Almeida, Partner at P49 Deesign. To celebrate the relaunch, W Retreat Koh Samui invited guests to an evening fusing “What’s New/Next” in fashion, music, and design in true W Hotels style. With the sun setting over the Gulf of Thailand as an incredible backdrop, a floating 50m-runway was created to showcase the latest designs from Rubin Singer, who is known as international designer to the stars. He was most recently noted for having done Beyonce’s spectacular bodysuit for the recent Super Bowl. The fashion show preceded a party with French guest DJ Xeum spinning vibrant music late into the night as the skies exploded with a fireworks display seen for miles around. Bangkok — Next Gen travel industry professionals already holding down senior positions of responsibility shared their forthright views with travel industry students at the PATA (Pacific Asia Travel Association) Youth Forum held recently in Bangkok. The forum focused on how new generations of consumers are finding, searching and connecting to travel, now and in the future. The Forum, with its theme, “Search, Connect, Experience – The Future of Tourism,” aimed at attracting hundreds of young professionals and students from overseas and Thailand. It started one day prior to the 2013 PATA Annual Summit, hosted by the College of Innovation at Thammasat University in Bangkok. Among the key speakers were: Siradej Donavanik, manager-operations and profit improvement, Dusit International, Arrut Navaraj, managing Director, Sampran Riverside, Thailand, and Peter Jordan, international relations officer, the World Youth, Student & Educational Travel Confederation. Other speakers who addressed the PATA Youth Forum included Prof Dr Somkit Lertpaithoon, Thammasat University rector; Martin J Craigs, PATA CEO; Dr Glenn McCartney, University of Macau; Dr JS Perry Hobson, Taylor’s University, Malaysia; Chittimas Ketvoravit, managing director, Universal Hospitality, Thailand; and Ariya Banomyong, country manager, Google Thailand. 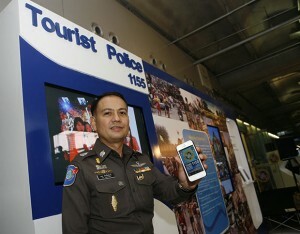 Bangkok — Thailand’s Tourist Police have embarked on a major campaign to improve their image and their services for tourists by launching one of the country’s most innovative virtual applications. The “Tourist Buddy” initiative will ensure 24-hour assistance for its users along with a better standard of help for those in need. The “Tourist Buddy Virtual Assistant” was launched last month at an “i-Exhibition” within Bangkok’s Suvarnabhumi Airport, which also included trial and download points for the Tourist Buddy Application and features a dedicated Songkran Festival board to coincide with nation-wide festivities for Thailand’s famous New Year water festival. Pol.Maj.Gen Roy Inkapairoj said he created this application so tourists can freely and instantly download the new Tourist Buddy Application in their own smartphones and devices to enable access to assistance from the Tourist Police 24 hours a day. “The Tourist Buddy Application will provide a new method for tourists to get assistance, anytime,” he said. “It is also expected to go a long way in supporting promotion for the nation’s tourism, culture, traditions and festivals. The program can specify the exact location of the requested place for assistance, thus allowing the Tourist Police to intervene promptly. It also includes information on all Tourist Police branches throughout the country, emergency numbers and other news updates. Immediate calls can be made to the 1155 Hotline from the application. Khao Lak — Ramada Khao Lak Resort is unveiling its “Boardroom Talks and Jungle Walks” package, offering its stylish and luxurious interiors to business tourism planners as part of a perfect getaway with unrivalled experiences trekking through Khao Sok National Park and diving the waters around the Similan Islands. Groups will enjoy a full day’s use of the resort’s fully serviced meeting rooms including an authentic and traditional Thai private lunch and gala dinner on Ramada’s extensive lawn area by the beachfront, two nights’ accommodation in the resort’s opulent Deluxe Oasis rooms and a choice of a thrilling safari into Thailand’s oldest and most wild national park or a day spent basking on the Similan Islands’ best-kept secret, Koh Tachai. In addition, the resort is able to convert its beach restaurant into a stylish and invigorating meeting space with uninterrupted seaview and plenty of natural light, ideal for smaller business groups and incentives. “Whether as a reward for outstanding performance, a bonding exercise to promote teambuilding, or just a great day out, our unique day trips around Khao Lak offer individuals and businesses a great way to mix business and pleasure,” said Ramada Khao Lak Resort general manager, Michael Vorderleitner. In addition to the perks of the resort’s stunning location, guests staying as part of a business group will enjoy a 20% discount on spa treatments and a 10% discount on any additional food and beverage consumption. Chiang Mai — Lose weight, improve fitness and stay in luxurious surroundings while being guided by experts in healthy living is the concept being offered by Centara Hotels & Resorts in conjunction with Luxury Health Retreats, a division of Fitcorp Asia. The partnership offers a range of inspiring educational and recreational retreats for those wanting to combine a health program with an enjoyable getaway break or holiday experience. The programs include daily seminars delivered by motivational wellness specialists along with structured movement and exercise sessions, and instruction on how to design meal plans and adjust lifestyles at home. Away Suansawan Chiang Mai, Centara Boutique Collection, saw the inaugural session, with others now being planned at this and other Centara Hotels & Resorts. The partnership offers guests the dynamics of luxury and travel to destinations both within Thailand and internationally while at the same time reaping the rewards of a solid and structured educational program. Phuket — Outrigger Laguna Phuket Beach Resort officially opened last month with a grand beachside party. Darren Edmonstone, managing director of Asia-Pacific for Outrigger Enterprises Group, told the media that the property had unique features which distinguish it from its competitors and make it a world-class product. 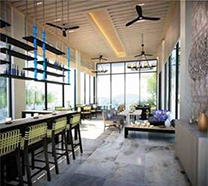 “We are particularly proud of our five innovative food and beverage outlets,” he said, “Especially Locavore, which will set new benchmarks in ethical dining by sourcing the freshest locally-produced food from farmers and fishermen in the Phuket area. Locavore aims to emphasize seasonality, sustainability and traceability through education and a close relationship with local farmers, fishermen and suppliers. Carbon emissions getting the food to the table will be minimized as well. Other dining options are available. The Phuket property is the fourth property of Outrigger, a privately held Hawaii based company with over 65 years of hotel management experience, in Asia. Bangkok — Novotel Bangkok Ploenchit Sukhumvit recently organized a charity party concert billed as “99 Night Out Party” to raise donations for “Yim Kids Thailand Foundation”- Accor Thailand’s official social organization to promote better lives and bring smiles to needy children in remote provinces across Thailand through quality education and living perspectives. The party earned a total donation of Bt34,941 from every 99 baht entrance ticket sale and other donations made by the event attendees. 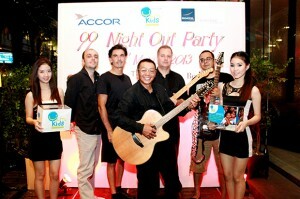 Held at its fashionable alfresco hang out spot Dee Lounge’s Beer Garden, the super fun-packed party concert was highlighted by live performance from Accor’s official music band “N.T.T. – Not That Tambourine,” Photo shows the N.T.T. band members from left, Bertrand Dugast, operations director of Pullman Bangkok King Power; Paul Stevens, director of Operations – Accor Thailand; William Pang, regional manager for Risk, Safety, Security & Crisis Management and Regional Operations Support Manager Thailand, Vietnam, Cambodia, Laos & the Philippines; Rod Munro, general manager of Novotel Bangkok Ploenchit Sukhumvit, and Sagar Naker, general manager of Novotel Bangkok Platinum. Ulrich Hoffgen (center), general manager of Centara Ras Fushi Resort & Spa Maldives welcomes Joseph William (left) and Catherine Kyne (right), upon their arrival at the resort to stay as first guests. 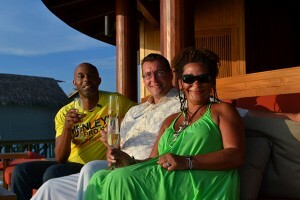 Centara Ras Fushi Resort & Spa Maldives is Centara’s second resort to open in the Maldives. The management of Novotel Bangkok on Siam Square donated some financial help to a hotel staff whose house was burned down in a recent fire. The donation is is indicative of the hotel’s support and caring nature toward its staff. Money was raised from a large garage sale; in addition to direct financial donations from staff and management and a considerable personal contribution from the hotel owners. The activity raised more than Bt200,000. 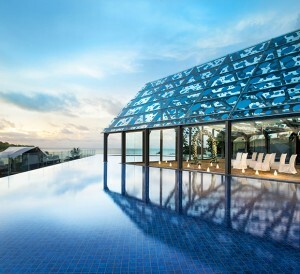 Hong Kong — Shangri-La’s Tanjung Aru Resort & Spa recently unveiled its Star marina, a new 2,787sqm facility built on the resort’s 25-acre grounds, and adjacent to a 60-metre-long private jetty at the water’s edge. Perfect for outdoor enthusiasts, the facility can organize water activities, dive certification courses, and speedboat transfers to the neighboring islands. For more information, visit the hotel’s pressroom. Bali — Set to grand-open this month, Le Méridien Bali Jimbaran is unveiling an “Elevated Sunset Wedding” package. Whether it’s a declaration of love in front of family and friends at the resort’s signature Elevated Celebration Pavilion overlooking Jimbaran Bay or an intimate ceremony for two on the Aqua Pool Sky Penthouse, announcing ‘I do’ at Le Méridien Bali Jimbaran promises to be a once-in-a-lifetime journey. The limited time wedding package has been enhanced to include guaranteed suite upgrade for the bride and groom, US$200 resort credit and luxurious transfers, to name a few. Package must be booked before July 31 along with two additional room nights in a Lagoon View Room and wedding needs to take place before Sept. 30. Bangkok — Hansar Bangkok, a sanctuary of elegance, sophistication and exceptional comfort in the heart of the city, has just received the Rakuten Entertainment award. The award is given to the hotel that has created thoughtful and creative accommodation plans to cater toward customers’ needs, in other words to “entertain” Rakuten customers.”.Hotels that receive this award are the most favorable hotels chosen by Rakuten guests. Rakuten Travel announced the results of the Rakuten Travel Award 2012 for highly achieving hotels and other accommodation providers in Thailand. The award is an important guide for Japanese travelers booking through the Rakuten Travel website and many past award-winning providers have seen their business grow. 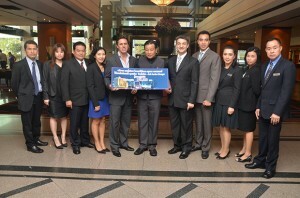 Bangkok — Rakuten Travel announced the results of the Rakuten Travel Award 2012 for “highly achieving hotels and other accommodation providers” in Thailand during the Rakuten Travel Conference 2013 held in Thailand recently. The award is an important guide for Japanese travelers booking through the Rakuten Travel website and many past award-winning providers have seen their business grow. 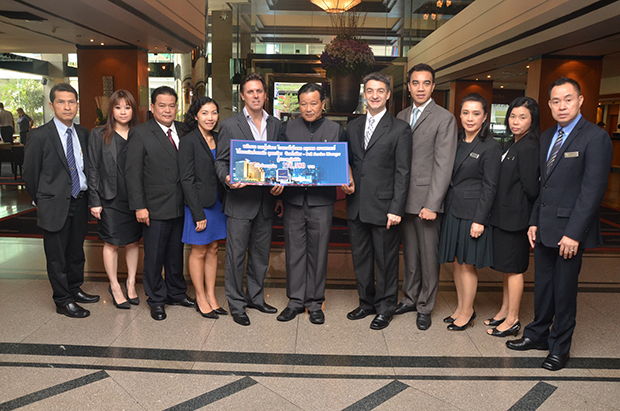 This year, the Jasmine Executive Suites Hotel in Bangkok won the top Diamond Prize. In June 2008, Rakuten Travel chose Thailand as the site of its first office in the Southeast Asian region. Since then, Rakuten Travel has capitalized on its deep bench of Internet travel consultants (ITCs) with superb local knowledge to build relationships with Thai accommodation providers. As a result, Rakuten Travel enjoyed growth in its gross merchandise sales of 44.9% in the Thai region last year. Rakuten Travel is now looking for more growth from the Japanese business market. Hong Kong — Amari Estates, the real estate arm of Italthai Group, Thailand’s leading conglomerate, enjoyed a hugely successful sales preview last weekend in Hong Kong for its latest project, Amari Residences Phuket, totaling a sale of 16% of its phase one units. According to CBRE, recently appointed sole agent for Amari Residences Phuket, sales exceeded the initial target. The preview welcomed over 130 visitors throughout the two day Showcase. CBRE and Amari Residences Phuket are working together to cater to a growing segment of lifestyle buyers and investors in Hong Kong and Mainland China who seek affordable branded residences, which offer comfort and luxury without the burden and expense of owning an individual resort home. When completed at the end of next year, Amari Residences Phuket will comprise of 148 residences and 12 pool villas situated on a prime coastal site above Patong Bay – Phuket’s most expensive location where land prices average HK$20,000 per square meter. 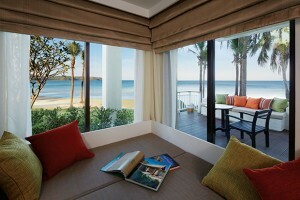 Amari Residences Phuket is operated by Amari Hotels Resorts and Spas, Thailand. 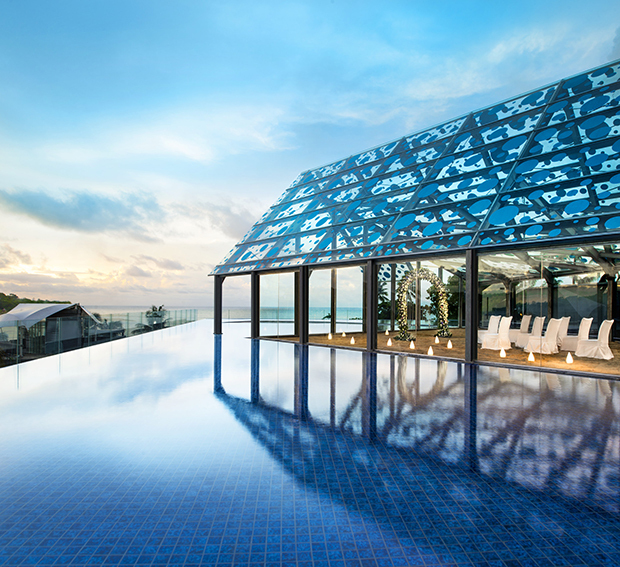 Hua Hin — Cape Nidhra Hotel, Hua Hin, part of the prestigious Cape Hotel Collection, has won the individual TopHotel category of the 2013 HolidayCheck Awards. The award, was presented during a ceremony at ITB (Internationale Tourismus-Börse) in Berlin, Germany recently. HolidayCheck operates the largest German language ratings portal for the travel and holiday sector on the Internet. 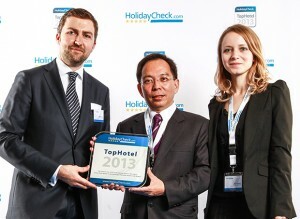 The HolidayCheck TopHotel awards are based on reviews submitted by travelers who have stayed in the hotel. The awards recognize the excellence of hotels worldwide. The highest ranked hotels, which account for 10 percent of all reviews within a region, are awarded with the HolidayCheck TopHotel award. 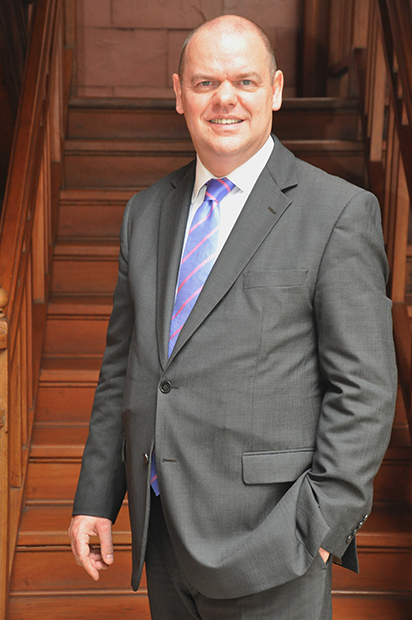 Douglas Glen has been appointed hotel manager for The Landmark Bangkok and area director of F&B for the Landmark Lancaster Hotel Group, Thailand. A veteran professional with 25 years of experience in high-profile, 5-star international hotels, Glen spent more 13 years with The Landmark London, prior to his present post. He has worked in various capacities and was a former banqueting manager with The Lancaster London. He has also worked with The London Hilton Park Lane, The Hyatt Carlton Tower London, and The Grosvenor House Hotel, London. Landmark Lancaster Hotel Group owns and operates hotels of the same names, including the K West brand in both London and Bangkok. 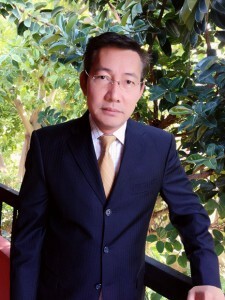 Panus “Alex” Jureeratana, has been appointed general manager of Centara Grand Modus Resort & Spa Pattaya. A Thai national with 30 years of experience in international hotel management, Panus is a graduate of the University of North Texas. 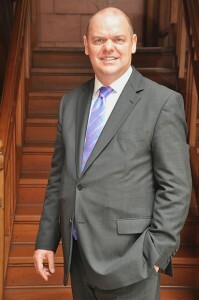 He has held senior management positions in several leading hotels in America. He has also worked in China, and prior to this was hotel manager for Soneva Koh Kood. 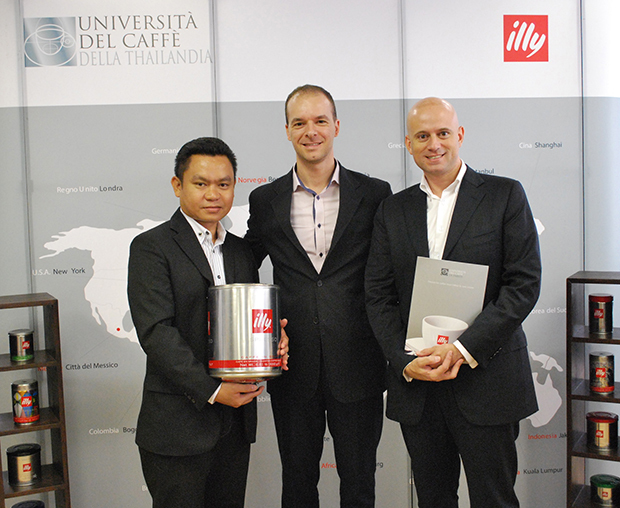 Tulip Group has come to an agreement with Gruppo illy to provide their world class coffee products in their soon to be opened super luxury hotel Centara Grand Phratamnak Resort Pattaya. Illy is known as being one of the world’s best coffee providers. Tulip Group’s CEO Kobi Elbaz is known to be a bit of a coffee connoisseur, so it was only natural that the hotel would carry these products, “it’s a great coffee and not normally found in Centara Hotels, but with everything in this hotel we are trying to offer only the very best, we are investing a lot of money to give our guests the ultimate experience” The coffee will be available in every room and served in all F&B outlets. Centara Grand Phratamnak resort Pattaya is expected to have a soft opening in August this year, with opening of building A. Building B will open nearer the end of the year, and will be Tulip Groups first hotel open in their ever growing portfolio. Hamburg — Oman Air recently received a unique award in recognition of the outstanding quality of its First Class and Business Class amenity kits. At the “TravelPlus Airline Amenity Bag Awards 2013” held in Hamburg, Germany, the national airline of the Sultanate of Oman, was presented with the TravelPlus Readers Award for the “Most Enduring Amenity Bags” by the leading online magazine’s editor, Simon Ward. The commendation comes in the wake of Oman Air’s success in the TravelPlus awards over the last two years. In January 2012, it won both the “Best First Class Female Amenity Bag” and the “Best Business Class Unisex Amenity Bag” categories, and also received a “Highly Commended in the Best First Class Male Amenity Bag” category. In 2011, the airline received the “Best First Class Female Amenity Bag” award and came second in the “Best First Class Male Amenity Bag” category. In the same year, Oman Air also won the “Best Onboard Amenity” category in recognition of its pioneering introduction of both mobile phone and Wi-Fi connectivity on its Airbus A330 fleet. This year’s awards were held at the Radisson Blue Hotel, Hamburg, coinciding with the ‘World Travel Catering & Onboard Services Expo.’ The awards, which are designed to recognize those airlines that go the extra mile for their customers, attracted a large number of entries from airlines and suppliers, and competition was fierce. Oman Air’s sumptuous amenity bags offer first and business class travelers a taste of Omani luxury and are filled with a selection of top-of-the-range skin care products from the world-renowned Omani perfumery, Amouage, together with a number of essential toiletries and personal grooming items. Oman Air’s latest success continues its run of key industry award wins in recognition of the airline’s many recent developments, including the introduction of new airbus A330 aircraft to its fleet, the inauguration of a range of exciting new destinations, the unveiling of spacious and luxurious aircraft interiors – including its A330 business class seat, named as the World’s Best at the Skytrax 2012 World Airline Awards – and the launch of state-of-the-art in-flight entertainment systems. Bangkok — The Tourism Authority of Thailand (TAT) is extending public relations support to Retox Sessions of Bangkok for the show of renowned music producer and DJ David Guetta in May. He’s the biggest DJ and producer in the world right now and he’s performing in Thailand with his full production show. Retox Sessions, Bangkok’s foremost promoter of electronic music, is organizing the debut performance of Guetta in Thailand. The French house DJ needs no introduction. Guetta blew up the international scene in 2009 with his third studio album, “One Love,” which sold over three million copies worldwide. His name had since become synonymous with infectious tracks and catchy beats. The most popular recording artists in dance music have lined up to work with him, from Rihanna to LMFAO and Akon. Guetta’s latest album, “Nothing but the Beat,” features the smash hits, “Without You” (featuring Usher and “Turn Me On” with Nicki Minaj). In 2011, Guetta was voted the No. 1 DJ by fans in DJmag’s Top 100 DJs poll. He’s also recently been decorated with the “Vevo Certification” award for having six of his YouTube videos reach over 100 million views. Guetta is the man that all the crowds want, and his performance in Bangkok is sure to be an evening of non-stop partying and dancing. TAT and Retox Sessions are putting Bangkok on the map as a nightlife destination both in Southeast Asia and across the world. Tickets — at Bt1,400 (early birds), Bt1,600, and Bt2,200 (VIP) — can be purchased at Amiando (www.amiando.com) and Thai Ticket Major (www.thaiticketmajor.com). “David Guetta Live in Bangkok” takes place on May 9 at Hall 106, Bangkok International Trade and Convention Center, Bangna. Bangkok – Thai real estate developer Kingdom Property has sold its entire The Suites Tower in its twin-tower Southpoint Pattaya project to a local Thai investor who will develop the 224-unit building into internationally managed serviced residences. The purchase represents approximately 30 percent of the saleable area of the 672-condominium project and is something of a coup for the rapidly growing developer, which has amassed a project pipeline valued at Bt10 billion in Pattaya. Senior management positions at several of the leading hotels in America, including The Mansion on Turtle Creek Rosewood Hotels & Resorts, Bel Air Los Angeles, MGM Grand Las Vegas, MGM Grand Sanya Yalong Bay Hotel, China and Soneva Kiri by Six Senses at Koh Kood, where he was hotel manager prior to joining Centara Grand Modus Resort & Spa Pattaya. Interest in Southpoint has been strong since its Environmental Impact Assessment (EIA) approval in November last year and ahead of the opening of its Sales Gallery and Show Suites in April with top buyers coming from Thailand, Japan, China, and Russia. The sale was indicative not only of the strength of the destination with the booming Eastern Seaboard manufacturing zones nearby, but also of a healthy Pattaya tourism industry. Over eight million hotel guests were registered in Pattaya last year. “Pattaya has very strong fundamentals as a destination offering an attractive investment proposition, superb access and infrastructure as well as an enviable lifestyle with sailing, golf, waterparks, shopping, and dining as key draw cards,” said Kingdom Property CEO Nigel Cornick. Southpoint Pattaya is located a short distance south of Bali Hai in Pattaya City, on an elevated site on Pratumnak Hill, offering extensive sea views and within walking distance of the Royal Varuna Yacht Club. The Bt2.5 billion-valued development, scheduled to be completed in 2015, is on a four-rai freehold plot.